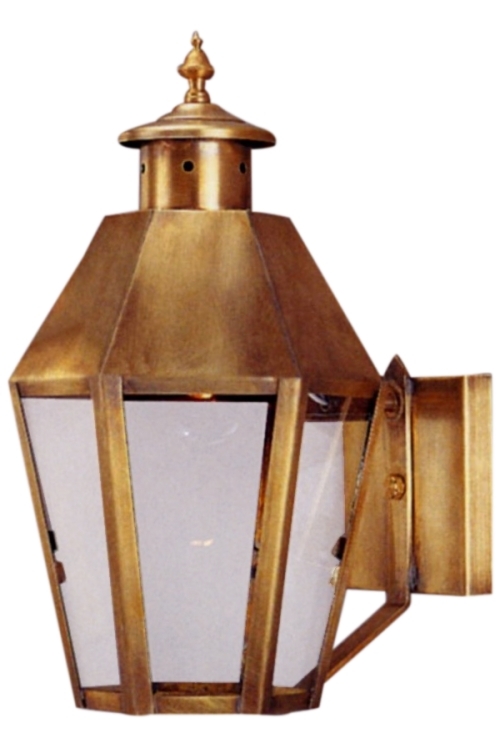 Boost your homes curb appeal while making your home safer with high quality outdoor lighting. 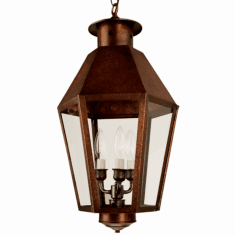 Your old house is one-of-a-kind; your lighting should be just as unique. 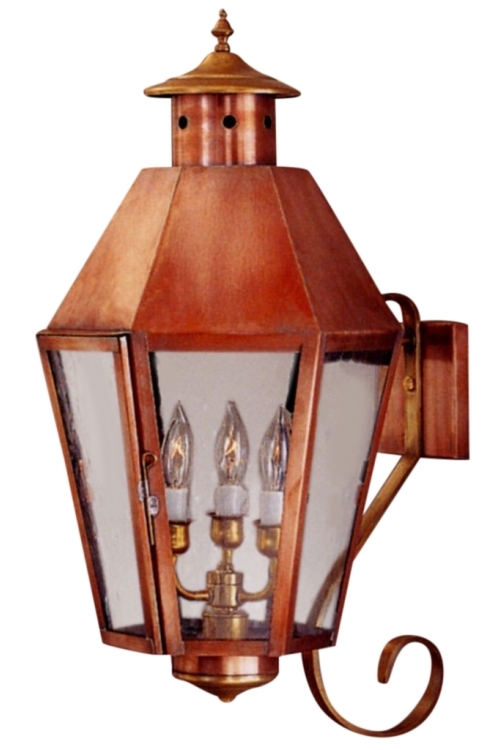 The Franklin Copper Lantern Wall Light with Bracket, shown here in our hand-applied Antique Copper finish with Water Glass, is handmade in USA from solid copper or brass for the highest possible quality outdoor lighting. 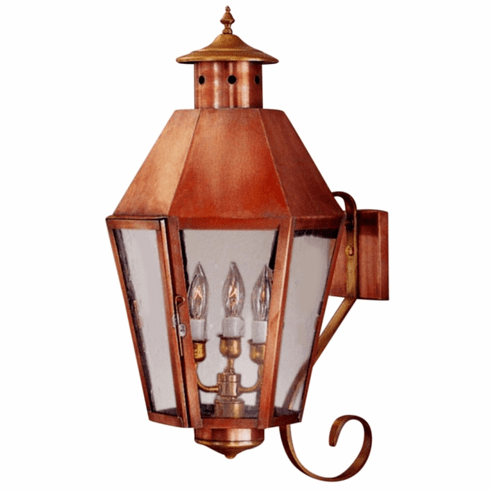 This wall light outdoor lantern is designed to go with old houses in a variety traditional American style including Colonial, Colonial Revival, Cape Cod, Neoclassical, Tudor, Spanish Colonial and Craftsman. 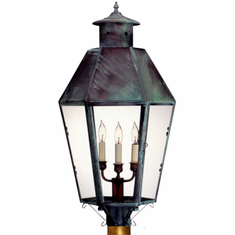 All orders include your choice of seven all natural hand applied copper and brass finishes plus four unique styles of glass at no extra cost making it easy to create one-of-a-kind outdoor lighting that is as unique as your period home.